Triphala literally means ‘three fruits.’ It is a potent combination of, as its name suggests, 3 of the most prominent ayurvedic fruits: Amla, Myrobalan, and Belleric Myrobalan (Amalaki, Haritaki, and Bhibitaki). Each of the three fruits brings to the table its own set of health benefits. They are used as ingredients in various medications and dishes, either on their own or in combination. Aside from its healing and health properties, the ‘fruit’ is also a rich source of vitamins and minerals. This is why it is often ingested as a food supplement, just like how vitamins are consumed in the Western hemisphere. After a lot of research, I only recommend Triphala from Lost Empire Herbs. Their sourcing and extraction process are second-to-none and it amazes me they can sell it so inexpensively. Get 15% off of your first order, too! The herb provides protection to various organs of the body like the heart, eyes, and skin. It is also known to cleanse the body to allow the energy available to be properly distributed to the various organs. In its natural form, Triphala can be used to cleanse the colon. It will get rid of all the toxins; and it will also keep the liver functioning properly. The herb also has laxative properties. Likewise, it can help restore the body’s cholesterol to normal levels. The herb also helps maintain the body’s general health as it keeps the immune system, muscles, lungs, and urinary tract functioning at their peak levels. It can also prevent the development of disease cells in the body. 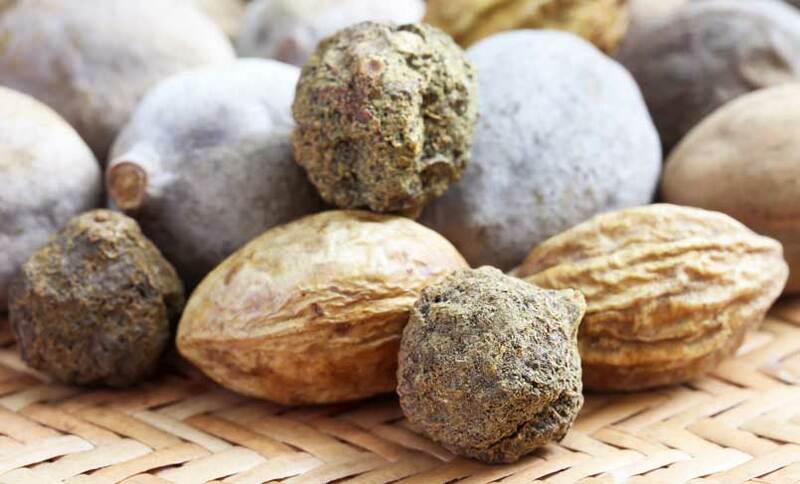 More and more of the centuries-old anecdotal evidence is being validated scientifically as research into the numerous health benefits and uses of Triphala is ongoing. One of the chemical constituents under the most scrutiny for varied uses is chebulinic acid which has very interesting implications in the study of initiation, growth and progression of malignant disease tumors. The Triphala supplement’s laxative qualities can help stimulate the linings of the gastric and intestinal tract to improve the process of digestion. Medical professionals recommend the herb to people who are suffering from constipation and other digestive issues. When used on a regular basis, the herb can help get rid of all the toxins that have accumulated in the intestinal tract. People who are suffering from acidity may use the herb for treatment. When used daily it will help cure flatulence by dissolving all the acids remaining in the stomach. The Triphala herbal supplement contains anti-inflammatory properties that can effectively address gout and other joint issues. Gout develops when an excessive amount of acids are released from the joints. The supplement aids in the removal of the acids through the process of urination. The liver and pancreas will function properly with the help of the herb. It addresses the sluggishness of the liver and clears the bile ducts. The liver is then able to perform its physiological functions at optimum levels. Medications containing the herb are recommended for patients suffering from hepatitis. Patients suffering from Alzheimer’s disease can benefit from using the herbal supplement because of its cooling and toning qualities. These qualities help the degenerate and repair the nerves to restore them to their normal state. Gastrointestinal upset, diarrhea, and disrupted sleep are the most common side effects associated with the use of Triphala. The occurrence of side effects depends on the strength of the dosage taken, the amount of supplement ingested, and how the body is accustomed to the intake of herbal tinctures. In any case, medical attention should be sought if any of the symptoms are experienced. Check back soon as we’re preparing some research on belleric myrobalan, Terminalia bellerica, Terminalia chebula, Emblica officinalis and will be posting it soon! nice article on triphala. i hope my immune system finds benefits. where can I buy it?